Ford 4.6L engines are engraved in the minds of most Ford car and truck owners. This engine is to Ford what the small-block is to a Chevrolet. The 4.6L came to life in the early 1990s and has literally taken on a life of its own in the auto world. Many Ford makes and models have this engine sitting underneath the hood. Did you know Mustangs use this engine? How about Mercury, Lincoln and F-Series trucks? Yep, they use it too. We have remanufactured Ford 4.6L engines waiting to be shipped to anywhere in the world. Our inventory could be considered the largest on the Internet due to our numerous warehouses around the country. Buying Ford engines could be a little surprising if you have never purchased one from the Internet in the past. Sellers are everywhere and you really have no idea how to verify the engine condition. We’re different. We explain to you everything that we do when buying an engine and there are no surprises when you examine the condition of what you receive. Our 4.6L engines do the convincing for us and we have been successful with this strategy since day one of selling remanufactured engines from Ford online. We never buy engines that have been rebuilt in someone else’s shop. What would that do for us? Sure we could mark up the price, but that would not help you or us out. All work that is done to these V6 modular engines is done exclusively by our own mechanics and using our own tools. We’re rebuilders not resellers. You can feel confident that we have Ford’s seal of approval for a 21st century engine shop. We have already made the necessary innovations and upgrades in engine technology to bring you the best motors that we can. OEM parts are all that are used when each 4.6-liter engine is rebuilt and we make sure that engines go through stringent testing too. We’re so particular about our testing that we do it several times. The first part is done manually. This means our technicians use a standard checklist to review potential flaws in the used form of these engines. When notes are taken, the engines are passed into our second testing phase. This is the computer controlled area. Our dyno testing is what makes every engine so great. After this testing is finished, the rebuild can take place and our mechanics assemble the engines piece by piece. The testing is performed again in our dyno testing area one last time. This triple formula that we have for testing is the very reason why we process zero warranty claims each year. Get what you need here at www.remanufacturedengines.co and you’ll save yourself a lot of money. No more shopping around to save $40. You save a lot more here. 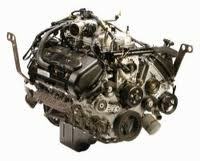 Use the Modular V6 engine form we have created that produces our price quotes. You can review the information and decide how you want to order. Call our toll free help line at 1-866-630-3873 and speak with us. We help you get what you need for less.